UPDATED: Mon., June 12, 2017, 7:38 p.m. The 14-year run of full Ironman competitions in Coeur d’Alene will end after August race this year. 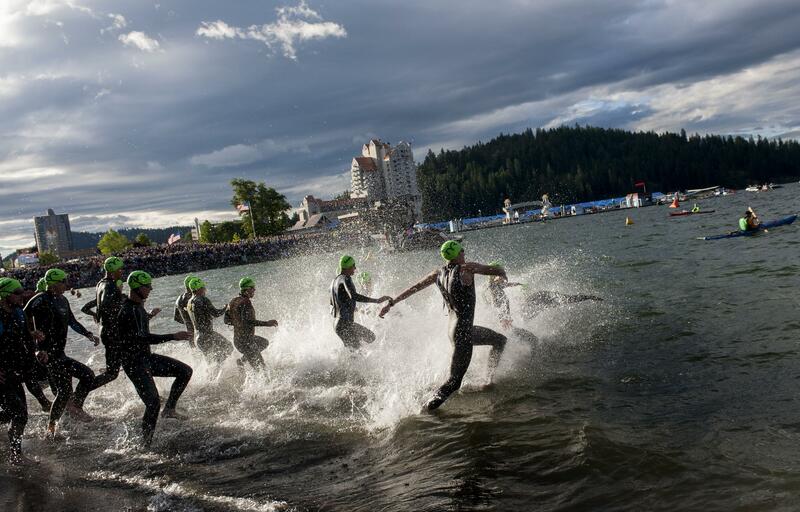 The decision comes after the Coeur d’Alene Chamber of Commerce told the City Council last week that it did not want to renew its financial commitment to the 140.6-mile swim, bike and run triathlon. Instead, a smaller, half-Ironman will continue to be run in Coeur d’Alene. It was first added in 2015 and depends on a $25,000 per year contribution from the Chamber for at least the next three years, according to City of Coeur d’Alene documents first obtained by KHQ. It is run in late June. The full Ironman contract required an annual $50,000 payment from the Chamber, according to records. The Chamber uses money raised from a hotel rebate program, the Convention and Visitors Bureau, the Idaho Department of Commerce and Tourism, and private business donations. The full Ironman race was moved to August to address concerns by athletes regarding weather and the rigorous course. The Chamber noted that the number of competitors for the long race had been declining. Published: June 12, 2017, 7:31 p.m. Updated: June 12, 2017, 7:38 p.m.